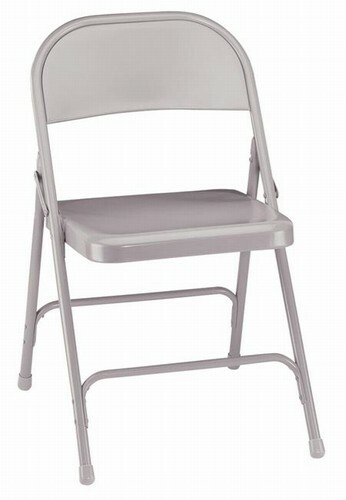 Standard All-Steel Folding Chair from National Public Seating Corp. Features include a 19 gauge 7/8" round tube frame with 19 gauge 5/8" round tube welded cross braces. 15 1/2" X 16" seat with waterfall front for added comfort. 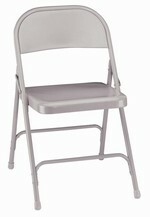 The back features a single contour with curled safety edges and is electro-magnetically welded to the frame. Leg glides are replaceable, non-marring polyethylene.